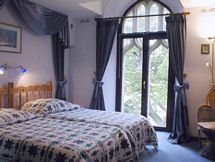 Converted Church: 4 Star Bed & Breakfast: Stunning Panoramic Views: 6 Bedrooms (3 En-suite): Lounge With Dining Area: Self Contained 1 Bed Appt: Approx 2 Acres. 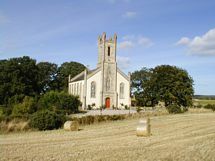 The church is situated in a superb rural location approximately 5 miles east of Elgin and close to both, the Grampian Highlands and the sandy beaches and dunes of the Moray Firth. The location is 1/2 a mile from the village of Urquhart and enjoys uninterrupted views over surrounding countryside. 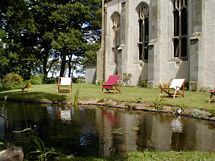 Your own 'island of peace' and a well established, successful B&B Business with dinner on offer and alcohol & wedding licenses. * Extensive & most attractive internal alterations within the church building as to end up with 9 bedrooms & 8 bathrooms (of which are 7 en suite) opening and converting the former space of the altar in the back of the church into a grand lounge/dining area with 2 stone steps again fully visible & with conversion of the vestry & minister toilet into a lovely kitchen with direct access to the garden...which extends the existing apartment nearly double in size! ...only by viewing someone would be able to fully appreciate & experience the huge potential within the already very attractive, existing framework & conversion for grand private use & most flexible business purpose...all alterations are on a financial level of realisation which is easy to manage & would hugely enhance the value of the property. At the moment 'Lease-to-Buy'-agreements would be considered as to ease entry by potential new landlords of Urquhart Church being new in business and/or in need of a business loan; present owner would be more than happy to actively help to enter into the business and to back up promotion of business if required. This listing has been viewed 6704 times.